1. Headline. Grab the reader's attention with a strong, catchy headline with keywords that people will most likely use in their search. This is your opener and what will make your reader want to read on. Include the name of the event and either the location or theme of the event. You won't want to give too many details up front. If you're writing an online press release for an event, know that Google will index 60 characters and Yahoo, 120 characters. Use Title Case for your headline. 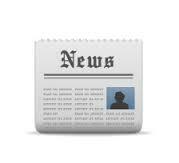 See what PRWeb says about press release headlines. 3. Dateline and lead paragraph. These elements range from 25 to 30 words and answer the "who, what, why, when, where and how" questions of your event. Keep the text simple and stick to the critical elements of the information. The format is: City, State, (name of service or publisher of the press release, e.g. GOOGLE), Month, Day, Year - details. 5. The boilerplate statement follows the body. The boilerplate is a chunk of text that can be used repeatedly, just as an "About" page is used on a website. This is where the details about your company are listed including; the services you provide, and perhaps names the key executives as well. It can contain your mission and vision for your company. This is the public persona you wish to project for your company. 6. Finally, the press release should include contact information. This is the company name, telephone number, address (if you wish, it is not necessary in a press release), the company's website address, the name of the key person to contact about the release, and an email address. Now, let's look at the basic dos and don'ts of writing a press release for an event. Make your PR a cut above the rest. Hubspot also has a good blog on the matter and even offers a recommended press release template. Send the press release out in a timely fashion. Sent too early, people won't remember it; sent too late, they may already be committed to something else. Two to three weeks in advance is a good timeline. Use a "hook." Tying your event into trends, news, and social issues can add excitement and urgency to a press release for an event. The reader feels they are getting more value by attending than staying away. Give away everything. If you want the reader to go to your website for more information, give them the desire to do so. Leave them with questions about the company, and they'll go to the website. Address your readers directly by "you." Refer to your company as "we" or "I." Include an email address if you're writing an online-only release. The email could be picked up by spam bots and flood your email.